As you can see, all I did was re-project it. Certainly, some of his other maps (such as his 1693 Ireland map) show Ireland wit near-modern accuracy. 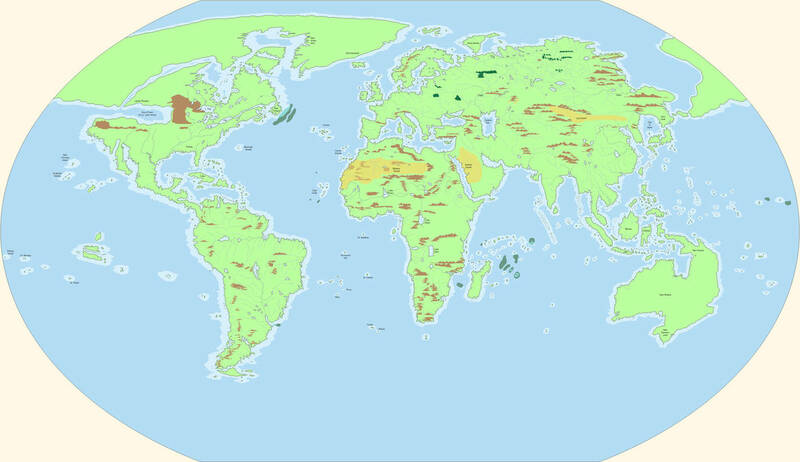 To a certain extent, the inaccuracy can be considered an artefact of rendering fine details on a world-scale map, and especially rendering an area that is highly distorted due to map projection (remember, this was pre-computer-rendering). I think for RPG purposes though, it's more fun to imagine that the inaccuracies are as it really was. I know the historical record shows that New Zealand had only been visited by Dutch explorers (and Polynesians of course) by the date of the map. However, the fact that the map exists should, I think, be incontrovertible proof that the Dutch did share news of their discovery with France. They also did so with Venice and other European powers. This Venetian map shows that it wasn't yet conclusively known that New Zealand was two large islands. It wasn't until this 1773 map that it was conclusively known to be two islands, let alone not part of the Antarctic continent coast. You might be interested in my World according to Gulliver’s Travels map made from the 1719 Herman Moll map and the 1727 original maps in the novel also by Moll. I made this for my game Gulliver’s Trading Company. I will post a pic here when I get Photobucket working. Here it is in low res. 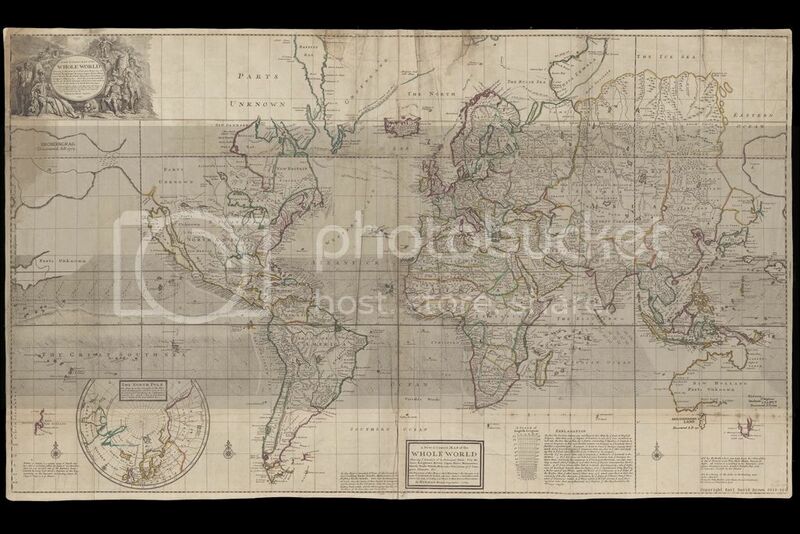 The source map was made in 1708 by Alexis Jaillot, a French cartographer. Wow, it's a good thing that the landmasses weren't that accurate, or what is the USA today probably wouldn't exist today...Russia or pre-Russian peoples may have conquered it. It it New Zealand that keeps getting left off of modern maps? You should probably start your own topic about it (if you have not already). I bet this would really help people who want to try running a RPG in the world of Gulliver's Travels.